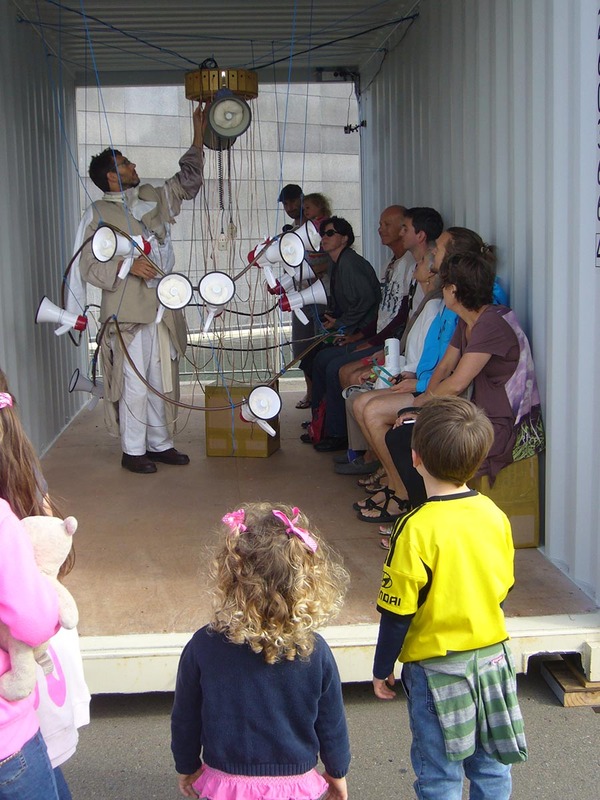 A man is encircled by an ensemble of megaphones suspended within a shipping container. 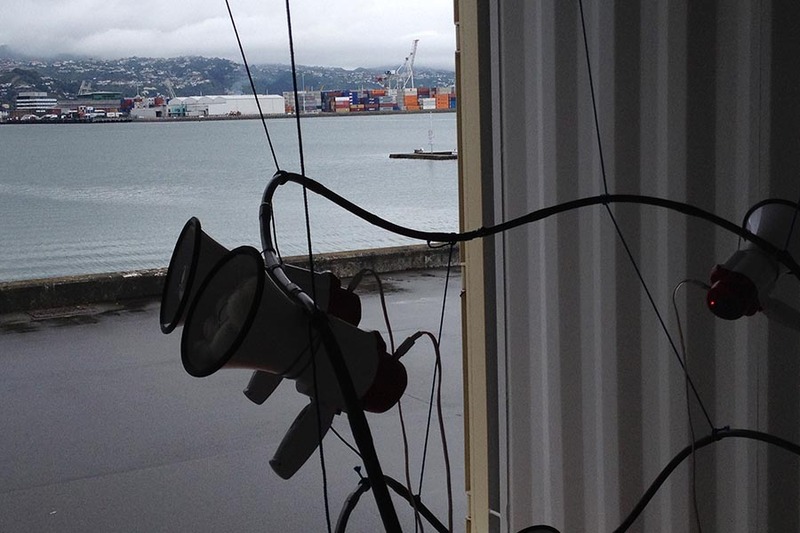 He modulates the capture and transmission of live found sounds from the situation, creating uneasy sonic fields that fold back into their context. Looping, layering and re-sounding micro-actions produce non-linear experiences of time-space, calling forth expanded senses of attention to the enfolding of the temporal present and an eternal dynamism characterising the ecological. 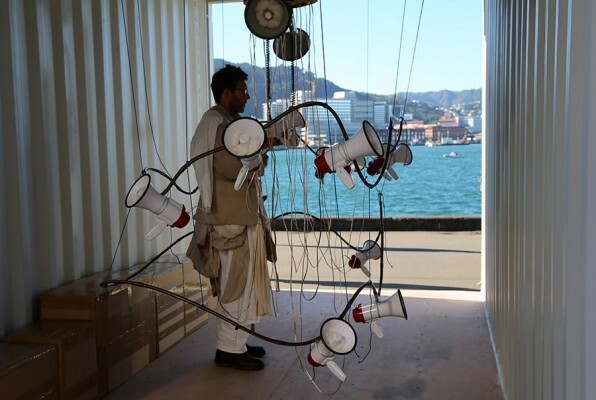 Return explores intersections of the sonic, the oceanic and the radio-phonic, deploying simple ‘off-the-shelf’ sound technology to recast human perceptions of – and yearnings for – connectedness beyond the realms of the human. 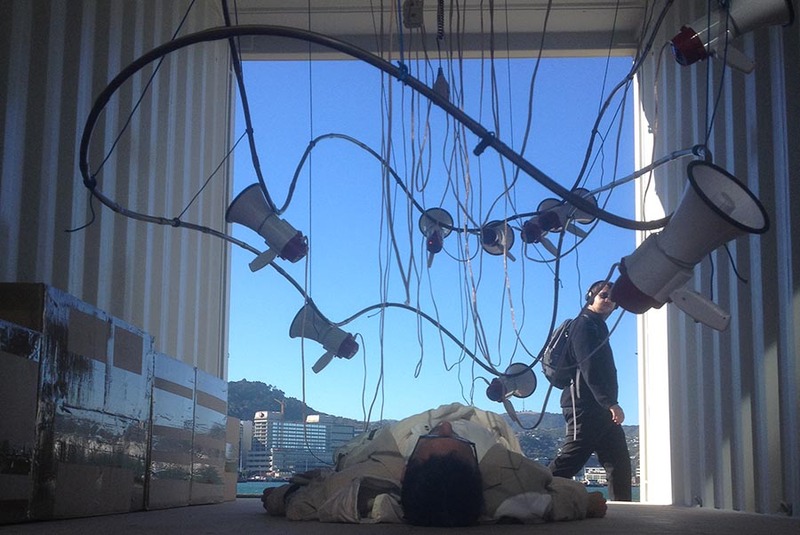 return was presented for 13 hours a day for 5 days, the last work in Douglas’ three-part cycle of works for The Performance Arcade.